Back by popular demand, we are partnering with SGD Events to host the second-annual Austin Chicken Wing Festival on Sunday, May 20 from 1 to 5 p.m. at Austin's Escoffier School of Culinary Arts. The festival attendees will rate and enjoy unlimited wing tastings from around 20 of Austin’s best chefs and restaurants that will be competing for the titles of “Best Chicken Wings” and “Best Chicken Wing Inspired Dish”. 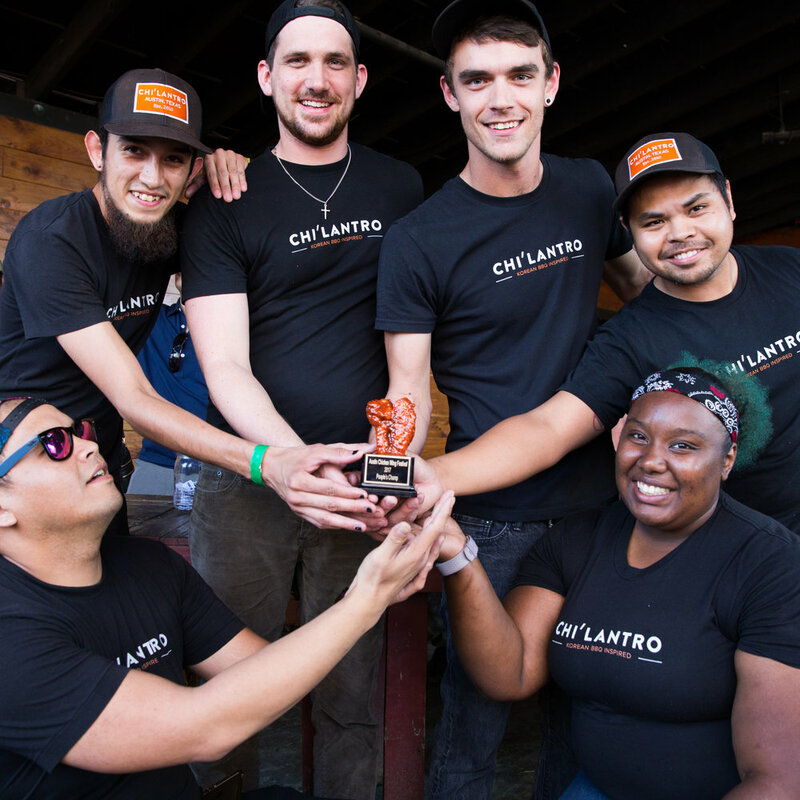 Last year, Chi'lantro won 1st in BOTH the judges category as well as the people's choice award, so everyone's voice (and tastebuds) truly matter! Additionally, there will be a FLAMING hot chicken wing-eating contest for 10 brave contestants who will take center stage. Last years wing eating contest was a major highlight, and the entire festival went crazy! The winner ended up being a last second add-on when someone backed out and really showed his love of hot wings! Little Wing GA ticket holders ($38) will enjoy unlimited chicken wings from 1 to 5 p.m. Hot Wing VIP ticket holders ($70) will have early access (starting at noon) as well as access to a VIP section that will feature a private bar and an exclusive restaurant vendor. A portion of the ticket sales will be donated to The Escoffier School of Culinary Arts to fund a student culinary scholarship. The event will occur rain or shine, and ticket refunds are not available. Children under the age of 3 do not need a ticket to enter the Festival. We'll see you there, come hungry!